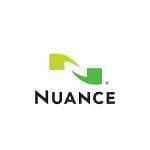 The comprehensive curriculums that CanScribe developed to train its students were created in partnership with people from the industry, so that our graduates will have just the right skills employers need. This is why 85% of our graduates are hired within 2 weeks of graduation. M*Modal technology and services optimize the transcription process for our customers/clients. Driving documentation workflow for this critical step, M*Modal Fluency for Transcription takes the onus off physicians by empowering transcriptionists and editors to produce more accurate, timelier reports. When integrated into a customer application or interfaced with most clinical documentation solutions, M*Modal Fluency for Transcription also gives Quality Assurance managers and HIM personnel the ability to monitor and improve their transcription workflows. M*Modal partners may also access our experienced global workforce of medical transcriptionists. 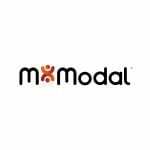 As the nation’s largest transcription services provider, M*Modal currently serves outsourced transcription needs of over 3,000 clients. CanScribe is a preferred training partner for M*Modal and hiring CanScribe graduates has been a tremendous benefit to our organization. We are consistently impressed with their knowledge base, skill level and quality. We currently have many CanScribe graduates working on M*Modal accounts from coast to coast with great success. We are proud to recommend CanScribe as a preferred medical transcription training provider. Athreon’s home-based transcription jobs are often an ideal fit for CanScribe graduates who want to work for a reputable company that offers flexibility and opportunities for growth. Athreon has had much success working with CanScribe because their graduates exhibit a love of learning and a commitment to quality, which is evidenced in the work they produce. Athreon invites CanScribe graduates who are seeking challenging and rewarding opportunities to apply. There’s never been a better time to work for Athreon! 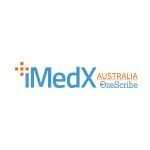 OzeScribe was founded in 1999, and acquired by iMedX, a global healthcare information management solutions company. Our leading-edge technology, custom solutions, best-in-class quality and commitment to service excellence allow us to focus on providing the ultimate transcription experience for our ever growing family of users. As a result, we are proud to be considered the market leaders in our industry, delivering high quality, cost-effective solutions that yield meaningful outcomes that exceed expectations. Additionally, being a market leader allows us to partner with the best Medical Transcription training providers, which is why we recommend CanScribe as a preferred transcription and training provider. CanScribe graduates are ready to face the world and deliver excellent quality healthcare documentations, which is our number one organizational priority. Our Director of Transcription said that in all of her years in this industry she has never had such skilled new graduates. Your CanScribe grads are really terrific, on both skill and attitude. 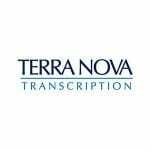 It is a pleasure to work with them, and to have them working for Terra Nova. 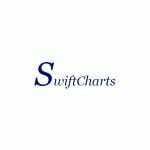 SwiftCharts is Canadian owned, operated and founded by two of CanScribe’s own graduates. Presently in the blooming stages of business, SwiftCharts will give greater consideration of employment to CanScribe grads as we at SwiftCharts believe that CanScribe offers a highly regarded Medical Transcription Program and stays current with issues Medical Transcriptionists face on a day-to-day basis. GTS has been using CanScribe exclusively for MT recruitment for the last few years. The graduates the we have taken on are undoubtedly the best MTs we have working for us. They are fast, accurate, diligent and have a fantastic work ethic. CanScribe is very professional, very timely in sending us resumes when we request more graduates and generally incredibly willing to please and assist in every way possible. I am pleased to write this testimonial for CanScribe Career College. In the past year (2013-2014), we have hired 266 new graduates. 70% of these hires graduated from CanScribe. Students that graduated from CanScribe were much better prepared for working from home because they completed their studies in the exact environment and conditions that they would then find themselves working in. I feel it is important for students to understand and experience the same type of workplace environment so they can learn good working habits that are required in order to be successful working remotely. CanScribe has responded to the changes in the medical transcription industry with regards to the use of speech recognition technology. CanScribe devotes about 40% of their hands on instruction to train students to edit medical reports using speech recognition technology in addition to transcription training. The practicum that CanScribe students go through at the end of the program provides a realistic job preview as to what it is like to work from home as they will experience transcribing/editing medical reports in the same work flow that our clients follow (pool of reports/variety of dictators/variety of specialties). We’ve enjoyed a great working relationship with CanScribe over the years and continue to look forward to working with their graduates-some of the best trained Medical Language Specialists in the industry!